We use innovative and modern timber frame design technology, but we still cut all of our wood with hand and power hand tools. 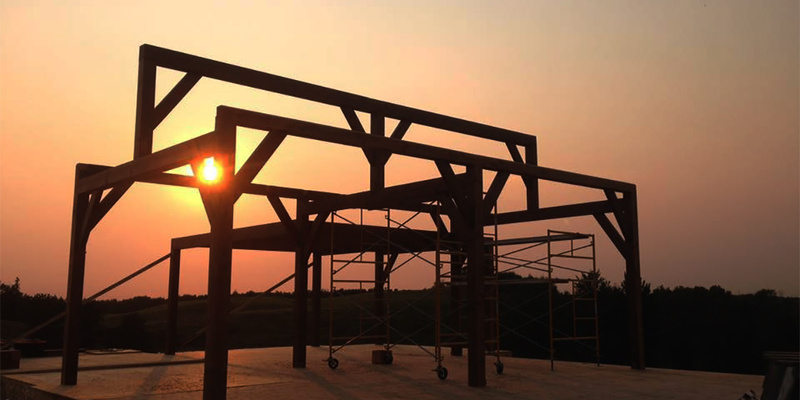 Our desire is to keep the traditions of the timber framing craft alive and well. 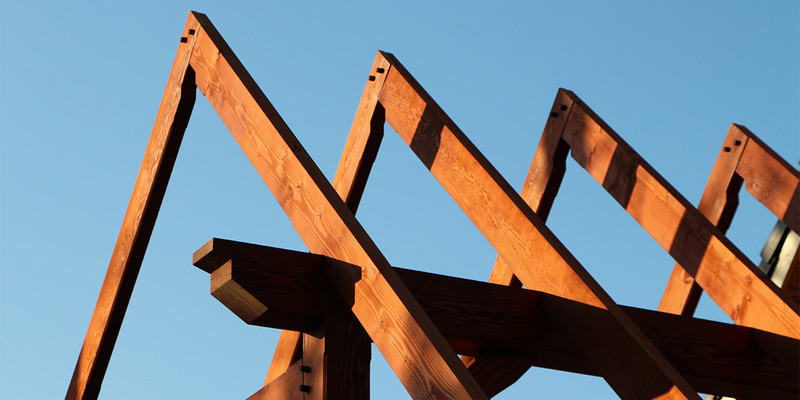 Your timber frame structure is something authentic and unique. Everyone has a unique style, whether it may be modern and contemporary, traditional and classic, or robust and rustic. 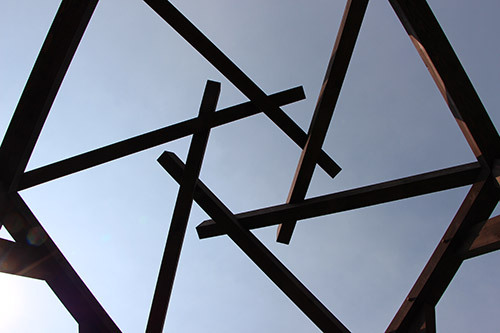 We can provide you with the appropriate design and materials to bring your timber frame vision to fruition. 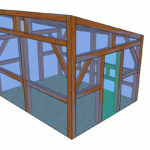 Our 3D design program allows you to visualize your dream timber frame. Coupled with our hands-on construction experience, we will lead you through the process of design, construction, and coordination. 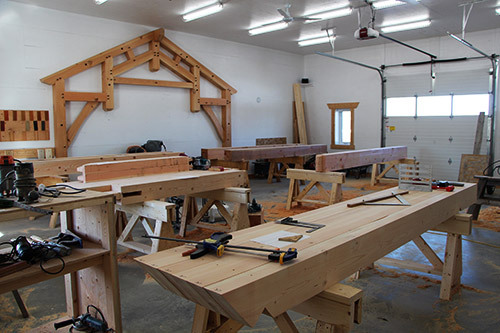 Welcome to McLeod Creek Timber Frame Company! 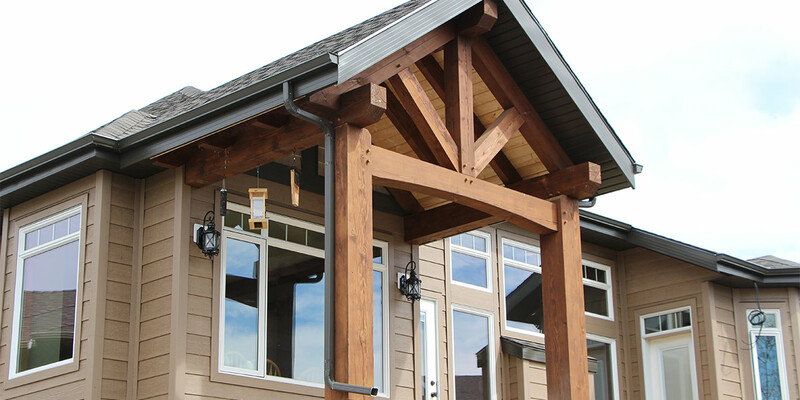 At the McLeod Creek Timber Frame Company, we are dedicated to building hand-crafted heavy timber frame homes and structures using traditional mortise and tenon joinery. 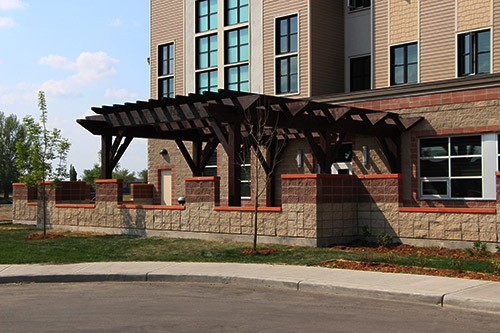 Our goal is to craft structures that enhance the lives and lifestyles of their owners and guests alike. Not only do our structures possess timeless beauty and strength, we ensure they are healthy, comfortable and durable. At the same time, we are responsible to both the global and local communities by striving for outstanding energy efficiency and environmental stewardship. 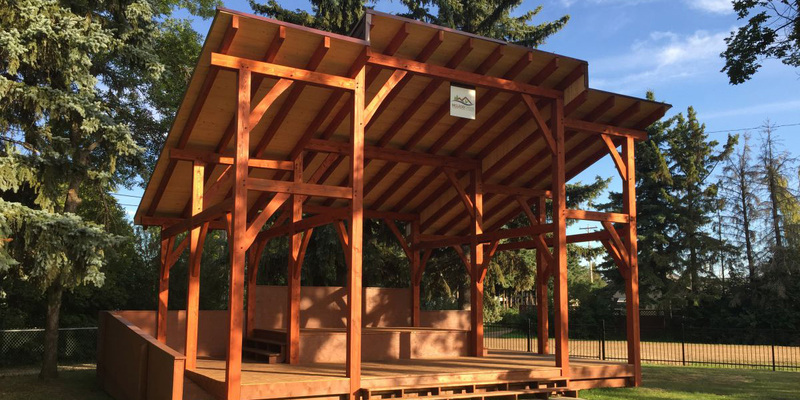 The McLeod Creek Timber Frame Company Ltd. is nestled on 75 acres near Edmonton, just north of Gibbons, Alberta – the perfect setting for our timber frame business. 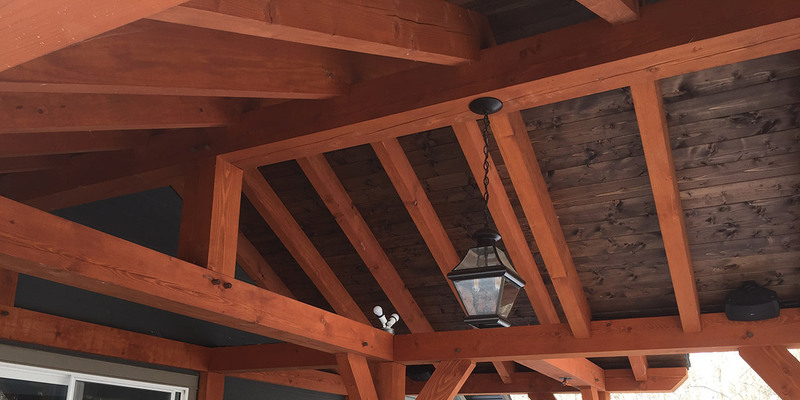 By ensuring our spot within a wondrous piece of nature, where the McLeod Creek flows through almost the entire length of the property, we are living and supporting our personal and company goals by harmonizing timber frame construction with nature.